When ordering trees, the choice of variety is important, but tree size is also fundamental to ensure that the final trees are right for your garden. The major factor involved in determining tree size is the rootstock. 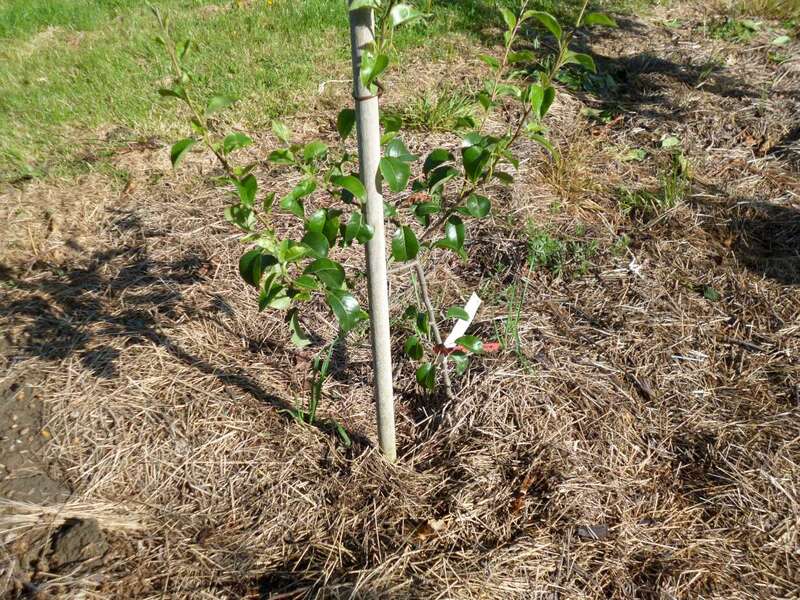 Most fruit trees consist of two parts. The first is the “rootstock” or “stock,” which comprises the root system and the lower part of the stem, normally from soil level (the so-called “nursery mark”) to about 15 cm above the ground. The second is the “scion” which comprises the rest of the stem and the branches, and so it is this part that bears the fruit. Trees are created by grafting a tree variety – say Cox apple or Victoria plum – onto a rootstock. This system is adopted to control the size of the tree and to improve cropping. So, for example, for apples, the rootstock named MM106 gives rise to a tree reaching a height of about 10 feet, while M26, M9 and M27 produce progressively smaller trees. M27 and M9 are therefore known as “dwarfing rootstocks.” However we do not recommend the use of M27 and M9 for apples for the average garden situation, primarily because in the average garden, M27 and M9 create a root system that is too weak to keep the tree upright in later years, when it is in full production. In addition, M27 and M9 trees tend to over-produce fruit in one year, with no, or very little, fruit the following year. For successful apple tree growing, MM106 is the best choice. It has proved itself over many years, and it forms a healthy tree which fruits at a young age. MM106 is suitable for all soils, including heavy clay soils, provided the soil is not waterlogged. Other factors in addition to rootstock are involved in determining the height of a tree at maturity. These include type of soil, height of the location above sea level, exposure to cold winds or frost pockets, and the winter rest level of water in the soil. Equally important is tree spacing. The further trees are spaced apart, the greater their final height will be. This is why the figures shown below are provided as approximate guidelines only. Click here for more details.